Eagles co-founder Don Henley has revealed that Deacon Frey, the son of the late Glenn Frey, will join the band for its summer 2017 appearances at The Classic West festival at Dodger Stadium in Los Angeles and The Classic East event at Citi Field in New York. “There’s going to be an official announcement in a few days but let’s just do it here,” Henley told Mike Rhyner of Dallas, TX sports station The Ticket during a May 15 interview. “Glenn’s son Deacon is a very talented young man, and he seems to be up for the task. He’s enthusiastic about it and he’s been working real hard on it, and he’s gonna do it with us. I think that’s appropriate. Glenn Frey died on January 18, 2016 at the age of 67 from a combination of rheumatoid arthritis, colitis and pneumonia following surgery at Columbia University Medical Center in New York City. Henley sees Deacon carrying on his father’s legacy as a natural fit for the group. “There’s an old system both in Eastern and Western culture called the guild system where the father is the master and the son is the apprentice,” he explained. “The trade, the craft, the business is handed down from father to son. I think it’s the only appropriate way to carry on. I don’t think I’d do it otherwise. Since it’s Glenn’s blood, it’s his son, I think that’s appropriate. 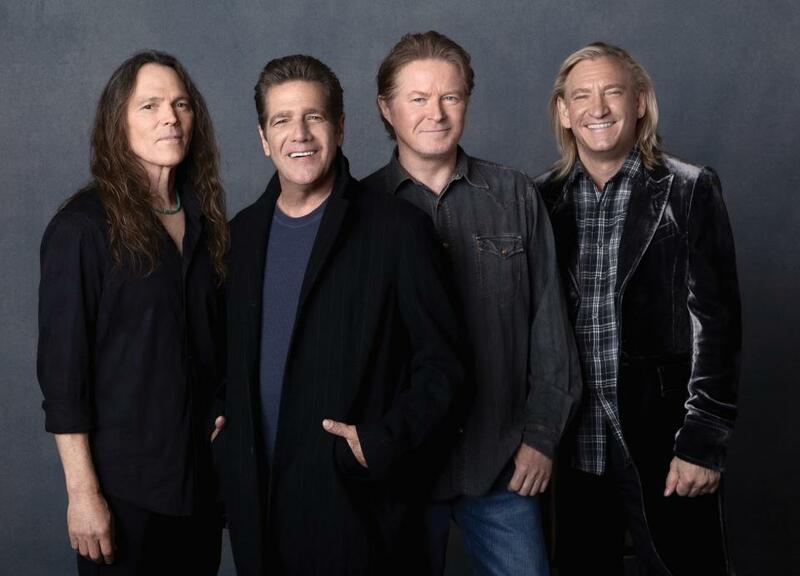 The Eagles will headline the July 15 show at Dodger Stadium alongside Steely Dan and The Doobie Brothers, with Fleetwood Mac topping the July 16 event with Journey and Earth, Wind & Fire. The same lineups will play in the same order in New York on July 29 and 30.